A state of the art cloud-based point of sale system powered by the reliability and security of First Data, this machine is for the small business owner that wants to work on their business more than work in their business. Built on an android platform with a powerful collection of native and third party apps, this is more than a point of sale system, it’s a business management system. Miles ahead of a standard point of sale system and other tablet-based systems, buying Clover is like graduating from a flip phone to a smartphone. What makes Clover so great? You’re concerned with so much more than just completing a sale. You have employees, taxes, marketing, and deliveries to handle. 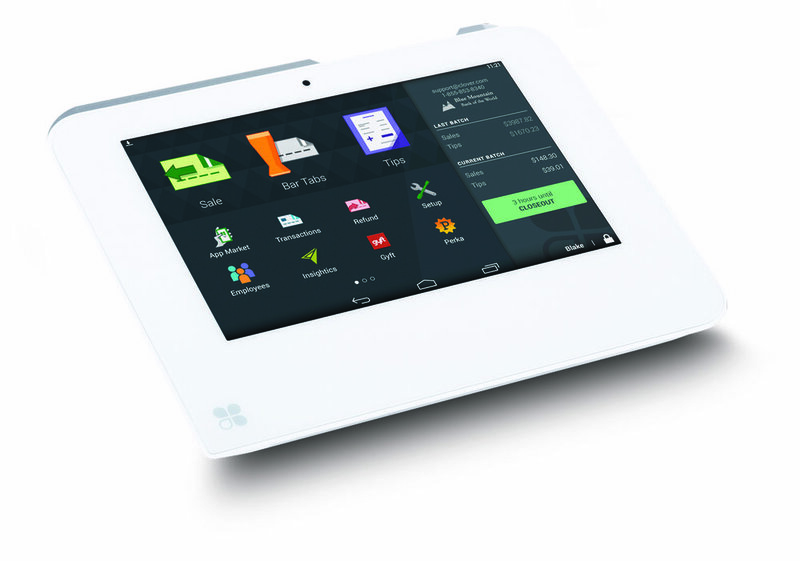 Clover automates many of the time-consuming tasks of running a business. And anything that isn’t automated can be completed from anywhere, at any time. Because Clover is cloud based, your fears of losing your data because of a computer crash or power surge are over. Clover connects via Ethernet, WiFi, or 4G cellular single. All you need is a battery backup surge protector and a way to connect to the internet. Even your cell phone’s hotspot will do the trick. Your sales go on, no matter what. No need for a crash box! Clover provides you with in-depth customer data. Its heat maps can tell you what neighborhoods your customer live in, and even where they go after they leave your store! Discover where you need to spend your ad money. Find and form strategic partners. Become a marketing genius and spend your budget and time more efficiently. Plan your staffing needs better. Forecast more precisely, and spot trends that might otherwise go unnoticed. No need for spiral notebooks or spreadsheets here. Access your sales history from any device. Know what sells and doesn’t sell. Identify your most profitable items. Get real time competitive analysis. See how your sales stack up against competitors in your area. Make more precise business decisions based on hard data and grow your business fast. No need for a developer! Need an online delivery menu? Check. Need a website to sell your products and want to have Clover track the sales? Check. Would you like to initiate email marketing and social media advertising? Double check! Everything you need is right in the box. No developer needed. Just about everything is drag and drop. Get your business up and running in less than a day. Personalize your Clover with the Clover App Market. There you can find solutions like back office, employee management, customer management and over 300 third party applications. Please fill out the form below and we will reach out to you ASAP. *N.B. - In order to prevent fraud we make a concerted effort to verify the ownership of your business and that it exists. Please provide a most recent credit card processing statement, business license or other state business filing document we can verify. If you decide to do business with us we will also require a state issued photo ID to confirm your identity and ownership. I know it might seem alot but your privacy and safety is our number one concern. Residents in the Pittsburgh area (Yinzers) need not comply with the upload. We will reach out to you and schedule a time to do an onsite visit and demo. Thank you. One minute will we redirect you to Dropbox. If you the page doesn’t load click here.